There are certain animals that have incredible camouflage abilities which allow them to hide from their predators when they are threatened. This is an evolutionary trait adapted by the lucky ones. 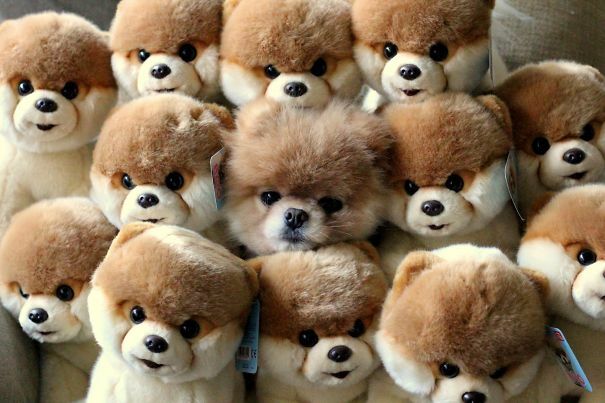 Camouflage, or the ability of certain animals to blend in, increases the probability of their living on for generations by expanding their species. Let’s skip the serious talk and move on to the stars of this article, cats and dogs. 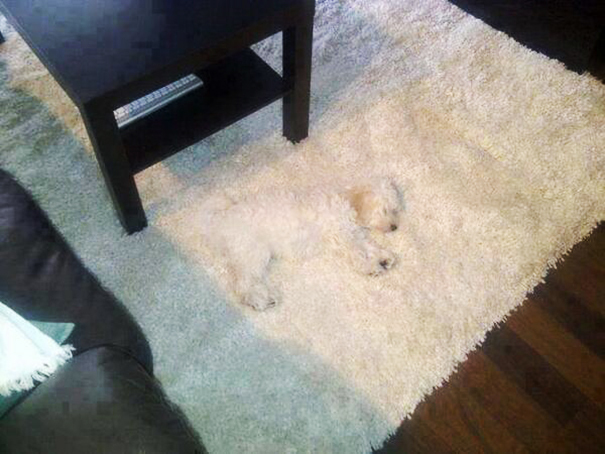 Cats and dogs don’t have camouflage qualities, but they like to try blending in sometimes, and it’s time for us to finally commend them for that. Without further ado, let’s play spot the camouflaged cat/dog! 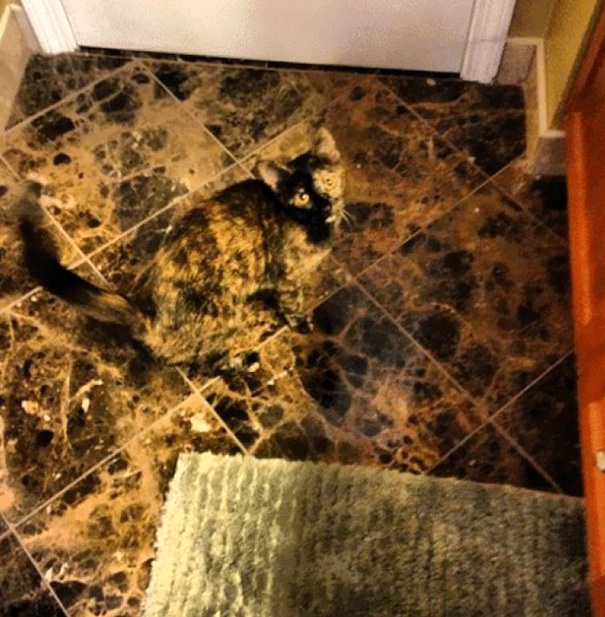 At first glance, you just see a cropped rug, and brown and black marble tiles; but then you spot those golden eyes that have the exact same color as the background. How am I supposed to find the real pet when there are so many adorable ones that look exactly alike! And they’re looking me straight in the eye! Aww! 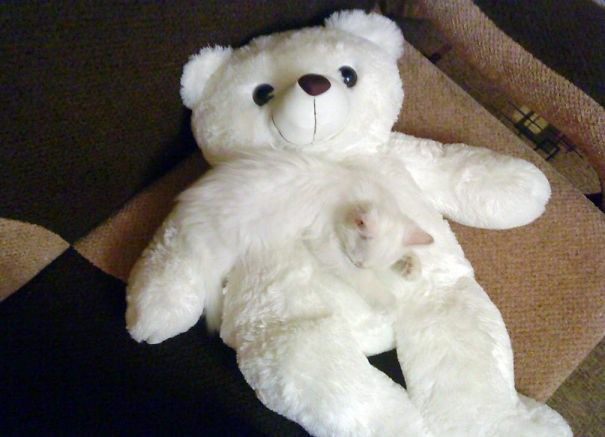 The camouflage in this one is too strong! And too darn adorable! Happy kitty, sleepy kitty, purr purr purr. What kind of sorcery is this? 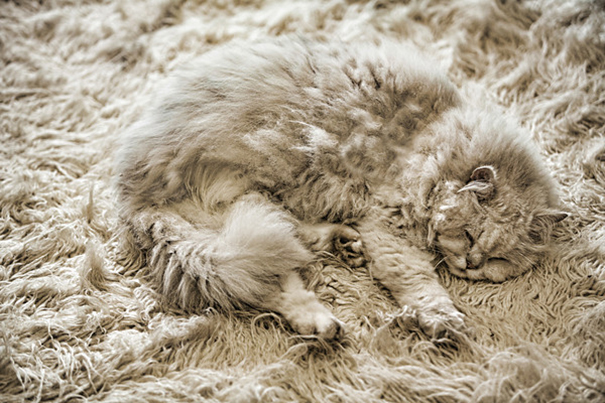 The extra soft gray fur of the sleeping cat matches perfectly with the gray-fibered rug. They’re so fluffy I wanna die! Check out this extra fluffy golden dog! Touching her fur must feel heavenly. 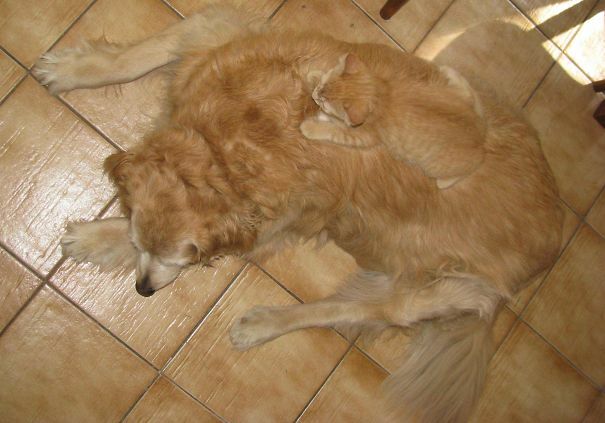 Oh, and what’s that sitting on her… a golden cat! 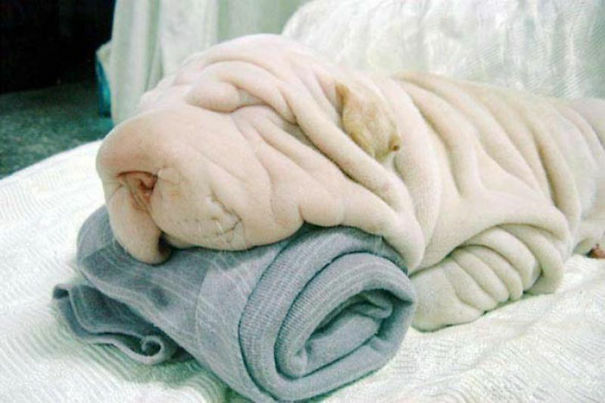 This wrinkled dog is a sight to see… once you manage to spot her, that is. She looks like a wrinkled bath towel. 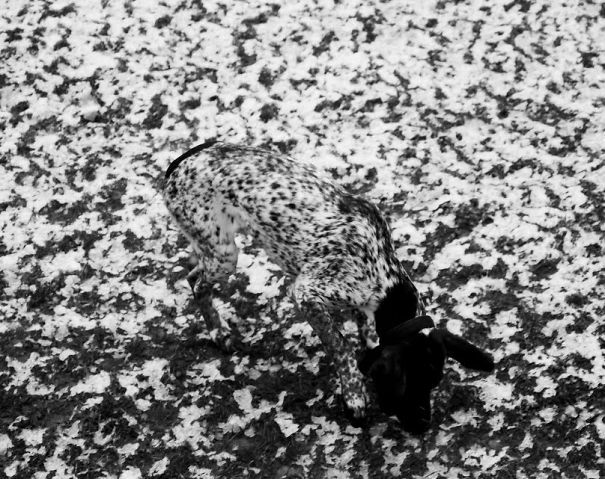 That coat looks incredibly magnificent amidst the spotted black and white background. He must be a nightmare to find when the snow falls in winters. 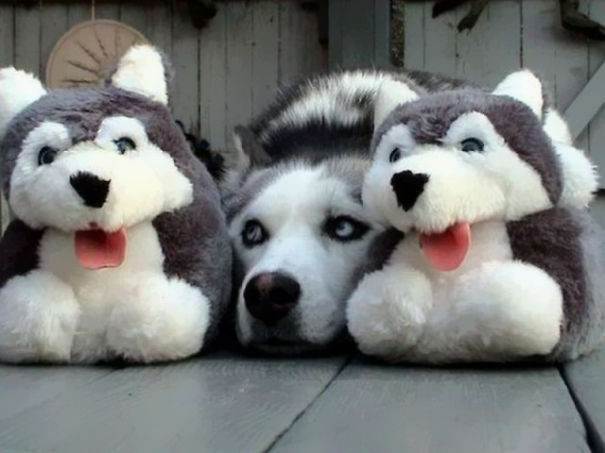 This adorable husky wants to be a cuddly stuffed animal too! Maximum cuteness level alert! Chewie? Is that you? 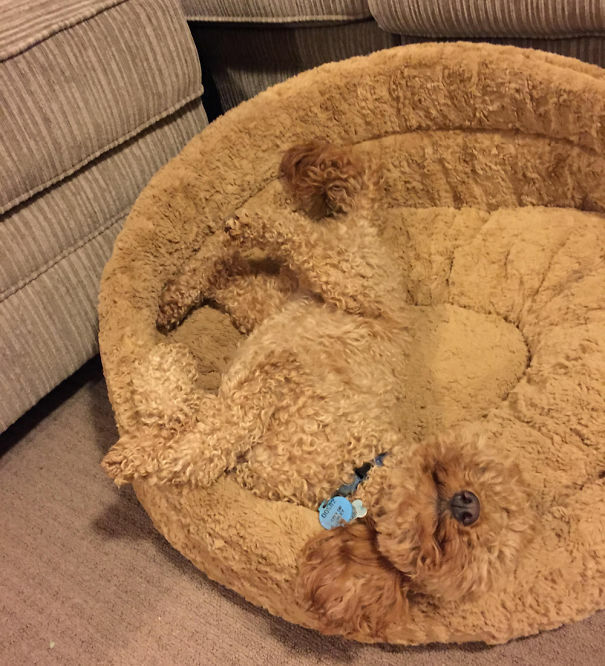 Those beautiful brown locks blend in with the doggy bed cushion perfectly! 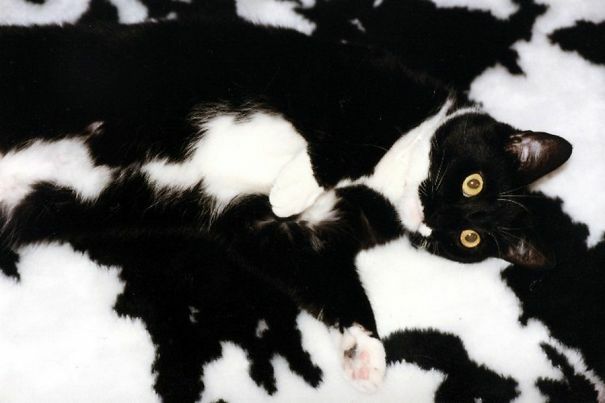 The black and white pattern of the coat matches really well with the rug’s pattern. Imagine looking for her if she closed her eyes. The fur of the fluffy dog and the rug look incredibly seamless. I just hope no one steps on her. Aww… she looks really peaceful under those cream silk sheets. The carpet looks exactly like her coat! It’s amazing! There is nothing more satisfying than stepping on a dead leaf during the Fall season. Watch your step, though, because you might be stepping on this furry creature. He looks really aggressive so you’ll have to be careful. Is it just me or does this dog look too similar to the blanket? I bet it isn’t just me. This picture is adorable and freaky, all at once. Pussycat, pussycat, where have you been? Could he really have been to London to visit the queen? Check out His Royal Highness over here. His regal look is complete with a golden coat, a golden throne and a soft pillow. What could he be dreaming about? Just look at how that silky black beauty contrasts against the doormat! Although the black color is exactly the same, the texture is completely different. I wonder how many times her owner brushes that beautiful mane of hers.